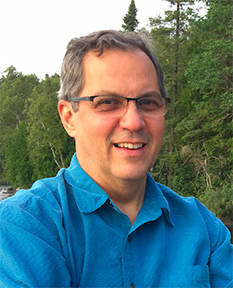 Pat Campanaro is a small business consultant with the Cook County Grand Marais EDA and the University of MN Duluth Center for Economic Development. She is active in progressive politics including Vice Chair of the Cook County DFL and one of the founding members of Arrowhead Indivisible. She works tirelessly for the community and recently participated in the Cook County Community Leadership Program sponsored by the Blandin Foundation. Other activities include board membership in the ISD 166 Education Foundation, the Northwoods Food project, the Green Dollar Fund and co-chairs the annual Empty Bowls Fundraiser and Community Connect, a one stop shop gathering over 40 agencies in one space to ease the burden of people needing to register for community services. Pat is a sales and marketing professional who spent her career in the telecommunications industry managing sales teams who sold to Fortune 500 clients. She has her Masters in Leadership from Augsburg College and her undergraduate degree in English and Journalism. And she makes a mean red sauce. Sharon Erickson Ropes was born and raised on in the small town of Two Harbors. She is a retired Registered Nurse, a former Navy officer, past state senator and a fierce grandma. Sharon has spent her life in community service because she believes, like Paul Wellstone said, “We all do better when we all do better.” Sharon has volunteered thousands of hours locally, regionally, on the state and national levels in positions such as state president of Minnesota PTA, state board member of Minnesota Master Gardeners and Minnesota State Horticultural Society, as well as her role as Senator. International service to the people of Mwanza, Tanzania came through a two-week medical mission trip. She also studied the universal health care systems of Norway, France and Canada. Now living in Twig, Sharon is a published author and had a syndicated newspaper column that ran in hundreds of local Minnesota papers. Although she is bilingual and widely traveled as a diplomat and citizen, Sharon’s global perspective is balanced with her small town heart. Sharon currently lives with her husband on a large wooded homestead where she raises organic poultry, bees, orchards and gardens. Bill Hansen was born in Duluth. He spent most of his life at Sawbill Canoe Outfitters on the edge of the Boundary Waters Canoe Area Wilderness in Tofte. His parents, Mary Alice and Frank Hansen, founded the business in 1957. Bill and his wife, Cindy, owned and operated it for 30 years before selling it to their daughter and son-in-law, Clare and Dan Shirley, in 2016. Bill has been an active DFLer all of his life, serving in party leadership positions, working on campaigns and twice running for the legislature as the DFL endorsed candidate. He has also been active in the regional philanthropic community, serving on the boards of the Northland Foundation, Entrepreneur Fund and the Lloyd K. Johnson Foundation, among many other community non-profits. Bill currently lives in Grand Marais, where he is a busy professional musician, part time canoe outfitting employee and busy community member. Kathy Heltzer lives in Duluth and is a faculty member in the Department of Social Work at UMD. She received her Bachelor's Degree in social work from UMD and her Master's Degree from the University of Wisconsin-Madison. She has been active in DFL politics since moving to Duluth in 1977 from St. Louis Park. Kathy has also been active in community and non-profit work. She currently is Board Chair for the Echoes of Peace nonprofit. She is past-board chair of the Duluth Area Family YMCA and has also served as a trustee of the YMCA Foundation. She was the 2016 recipient of the 7th Senate District Solon Munger Leadership Award. In 2014 she received a Duluth Superior Pride Community Award for her work with the GLBTQI community. Kathy participated with a cohort of community leaders from Duluth in the Blandin Community Leadership Program. Kathy's best job ever was working as a summer crew member during college at Sawbill Canoe Outfitters near Tofte, Minnesota. Lorrie Janatopoulos is a 2016 Bush Foundation Leadership Fellow currently working in the areas of community, workforce and economic development with local state agencies. Prior to her Fellowship, Lorrie was the Planning Director at Arrowhead Economic Opportunity Agency (AEOA), a large community action agency with an anti-poverty mission where she developed programs for children and youth, seniors, job seekers and people experiencing homelessness. Lorrie currently is a member of the Governor’s Workforce Development Board (GWDB) as the Women’s Economic Security Act (WESA) appointee and serves on its Racial Equity and Operations Committees. Lorrie has a Master of Public Affairs, a Bachelor of Behavioral Arts and Sciences with a concentration in Management, a graduate level certificate in Dialog, Deliberation and Public Engagement and a Certificate in Leadership from Harvard Kennedy School. Lorrie also has an extensive background in public policy, has managed a county commissioner’s office, served on a Governor’s Task Force for LGBT Minnesotans, run for public office twice and has over 30 years of local and statewide non-profit board experience. She lives outside of Eveleth. Fred Keller was born in New York but has lived in Minnesota since 1975 and has made Sandstone his home for the past fifteen years. Starting in 1994, he became a professional musician. Since 2002, music has been his sole career. Fred spent thirteen years in healthcare management, served as a City Councilperson in Sandstone, but his main work is in music and history. He has dug up out-of-the-way or lost stories about Minnesota and writes songs about them. He also teaches in schools, plays all over the state, and interviews and records folks everywhere he goes. 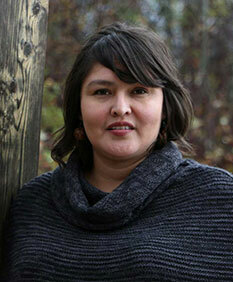 Nevada Littlewolf is the executive director and founder of Rural American Indigenous Leadership. A member of the Leech Lake Band of Ojibwe, she has over 20 years of experience working across sectors of government, community, non-profit, and business. She is an experienced Iron Range leader. She has a passion for building systemic and political power for rural women. Her professional focus has always been with youth, women, communities of color and American Indian people. She serves in several leadership positions including the Northland Foundation Board, ClearWay of MN Board, the Women's Foundation of MN Board, the Governor’s Judicial Selection Committee and as an elected member of the Virginia City Council. She has an Associate of Arts degree from Mesabi College and a Bachelor of Fine Arts degree from The University of Minnesota Duluth. Robert Miller has lived in Hermantown since 1992. He has been married for 37 years and has 7 children. Moving here from Anchorage, Alaska, he had been elected District 13 Chair for two consecutive terms. Miller grew up in Superior, WI and had been involved in several political campaigns starting with Robert Kennedy in 1968. He last campaigned for Steve Cowper, one of the last democratic governors in Alaska. He is an American Indian and has worked in education since 1980. Currently he is running for the Chair of the St Louis County DFL. Robert Sean Peacock is a member of the Red Cliff Band of Ojibwe, and is the son of Robert "Sonny" Peacock (2004 DFL national delegate and 16 year Fond du Lac Tribal Chairman) and Kathy Peacock (union employee for Diamond Brands for 40+ years). Robert has his AA degree from Fond du Lac Tribal and Community College. He has one daughter, Emily, and has custody of his niece and nephew, Jordis and Josiah. He has been involved heavily in politics for most of his adult life as a campaign manager, coordinator, and advisor, and as a state delegate for the DFL party.